At QSS Technosoft, our team of experts provides top-notch software, web, and mobile app development solutions for a variety of small and medium-sized enterprises. Whether businesses want our UI/UX savvy, web design skills, or engineering and development support, we deliver quality each and every time. Through our work, we help our clients stay competitive in an ever-changing marketplace, maximize efficiency, and easily adapt to the latest trends and changes in technology. We pride ourselves on the exceptional quality of our services. 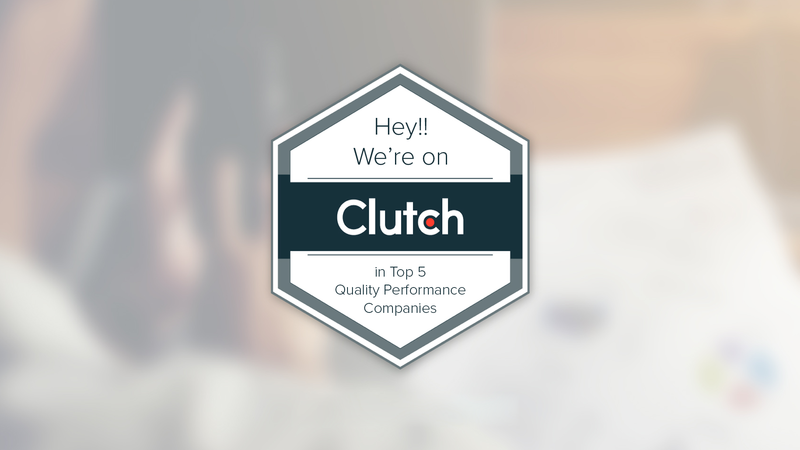 As an indication of our storied reputation as strong software developers, we are happy to share that we have been included as one of the top software development companies on Clutch, a B2B research and reviews firm in Washington, D.C. that analyzes companies based on aspects such as market presence, existing portfolio, and customer testimonials. Be sure to read all of our client reviews on our Clutch profile! The Manifest and Visual Objects, sister companies of Clutch, have also recognized our commitment to excellence. The Manifest, a business news website that shares crucial information and updates with entrepreneurs and SMEs, tabbed QSS Technosoft as one of the leading app marketing agencies in India. Likewise, Visual Objects, which showcases the portfolios and projects of creative agencies, touted our work among other notable software development companies. These features by Clutch, The Manifest, and Visual Objects regarding the strength of our team, work, and partnership here at QSS Technosoft speak volumes about our dedication to our clients’ success. If you are interested in hearing more details about our services or have a project that you want to pursue with us, we welcome you to reach out, and we look forward to working with you in the near future!